Home Miss Earth Miss Supranational Miss Universe Czech Republic's Reps for Miss Earth, Miss Universe, Miss Supranational Named! Czech Republic's Reps for Miss Earth, Miss Universe, Miss Supranational Named! 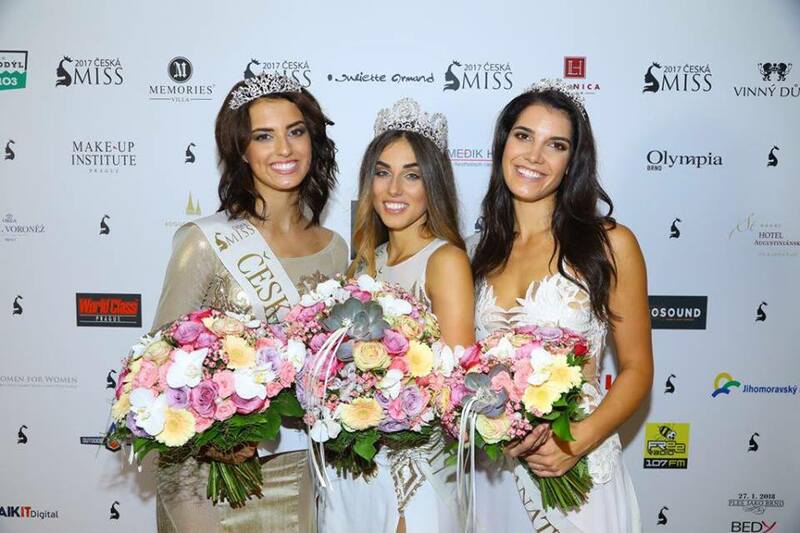 Czech Republic's representatives for 2017's Miss Universe, Miss Earth, and Miss Supranational have been crowned at a crowning ceremony held at DRFG Arena in Brno, Czech Republic on September 23. 21-year-old Michaela Habáňová was crowned the winner of Ceska Miss 2017 pageant. She succeeded Andrea Bezdekova and will now represent the country at Miss Universe 2017 competition in November. 19-year-old professional model Ivuš Uchytilová was named the Miss Earth Czech Republic 2017 and will fly to Manila for the Miss Earth 2017 finals on November 4, 2017. 24-year-old Tereza Vlcková, meanwhile, took the Miss Supranational Czech Republic 2017 title and will compete in this year's Miss Supranational contest in Poland in December.